I know there have to be some beet lovers out there. I find you're either a lover or a hater, and there are few people who fall in between. But I believe the right beet recipe can turn a hater into a lover. Chapel Hill's Carolina Inn is steeped with Southern tradition. It's been serving guests in North Carolina's quaint college town for 95 years. 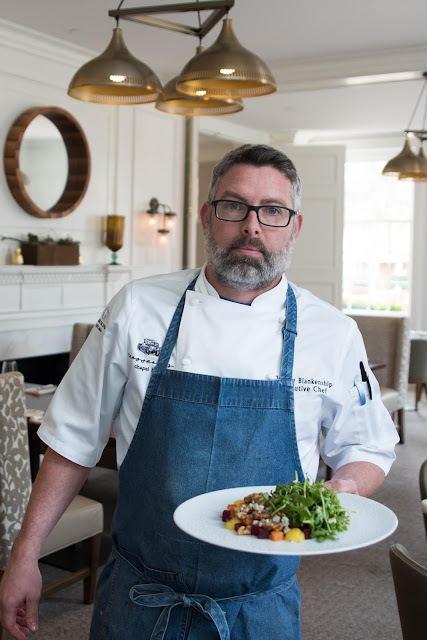 Leading the culinary scene at the Inn's Crossroads Chapel Hill restaurant is Hillsborough native Jeremy Blankenship. 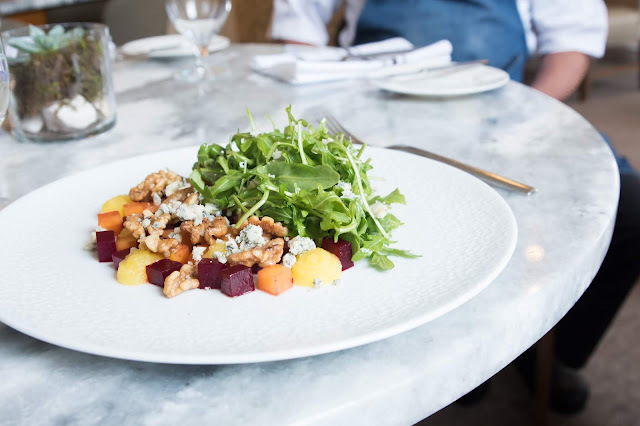 One salad plate at a time, Chef Blankenship hopes to turn every Tarheel in town into a glorified beet lover with his Arugula and Beet Salad Appetizer with Toasted Walnuts, Point Reyes Blue Cheese, and Citrus Gel. 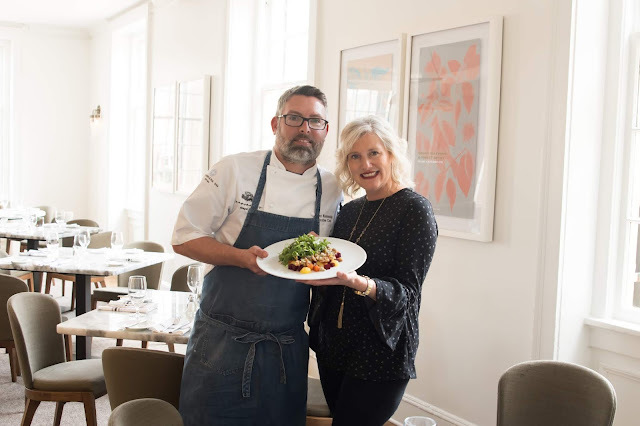 I met with Chef Blankenship in March to get a feel for his culinary influence. He is no stranger to the Carolina Inn. In fact, the Inn and past North Carolina prestigious Southern chefs have been a huge part of his own culinary training. 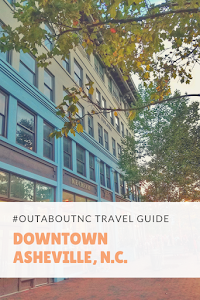 From an internship and Sous Chef training at the Carolina Inn to being hired as Chef de Cuisine at Crossroads in 2005 following his tenure with the well-known, Magnolia Grill, located in Durham NC. 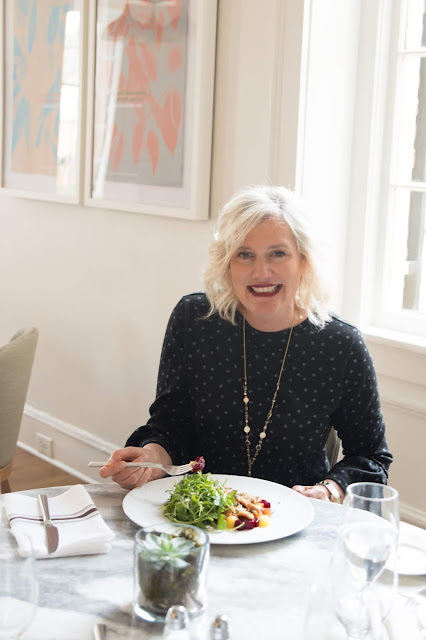 It was at the Southern icon Magnolia Grill, under the ownership of Ben and Karen Barker who both were James Bearn Award-winning chefs that he really developed the food philosophy that he uses daily. 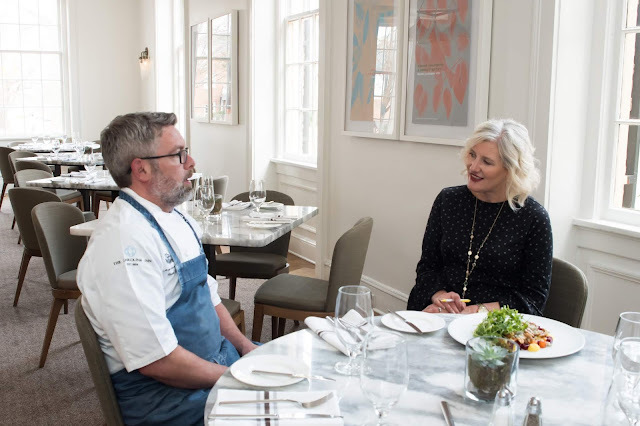 It was quite evident during our chat at the Inn, this was a special time in his and in truly molded him into the talented chef he is today. 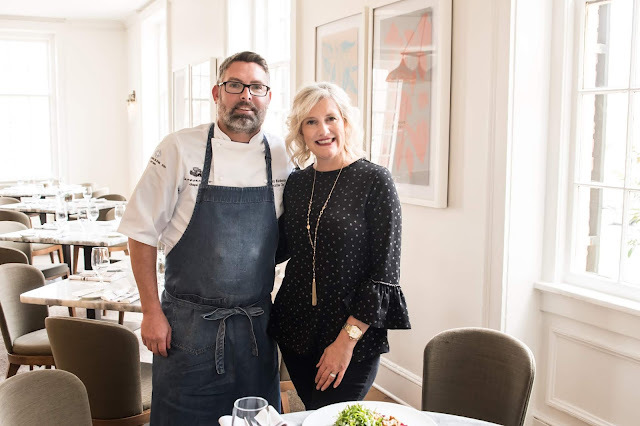 Blankenship told me he doesn't label himself as a Southern cook, but rather he takes Southern ingredients and uses worldly techniques in the kitchen that embraces seasonality and regionalism. 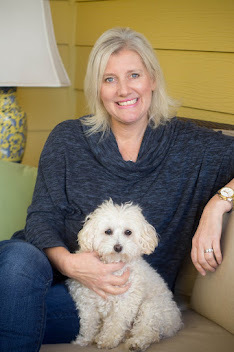 “It’s not just about farm-to-table, it’s an exchange of ideas, it’s a relationship, it’s about integrity in the entire process of food preparation from finding and sourcing ingredients to educating the team that works with you every day about how to be creative with what is set before you," stated Blankenship. 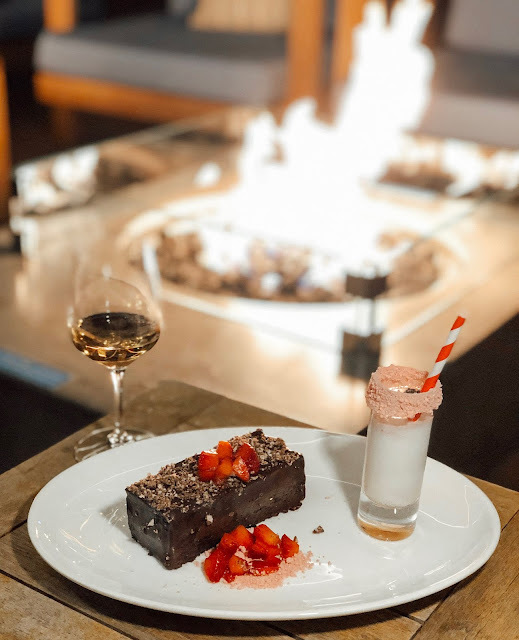 Blankenship pays homage to his past mentor with a special Karen Barker inspired dessert that will soon debut on the Carolina Inn menu. Just as with anyone who builds a career, Blankenship left the Inn for higher culinary roles and returned finally returned back to the Carolina Inn in 2016 to serve as Executive Sous Chef. He was in that role until his appointment of Executive Chef this year. Being an Executive Chef of a hotel always comes with many challenges because unlike a regular restaurant, the kitchen is rarely closed because guests are with you 24-hours a day. 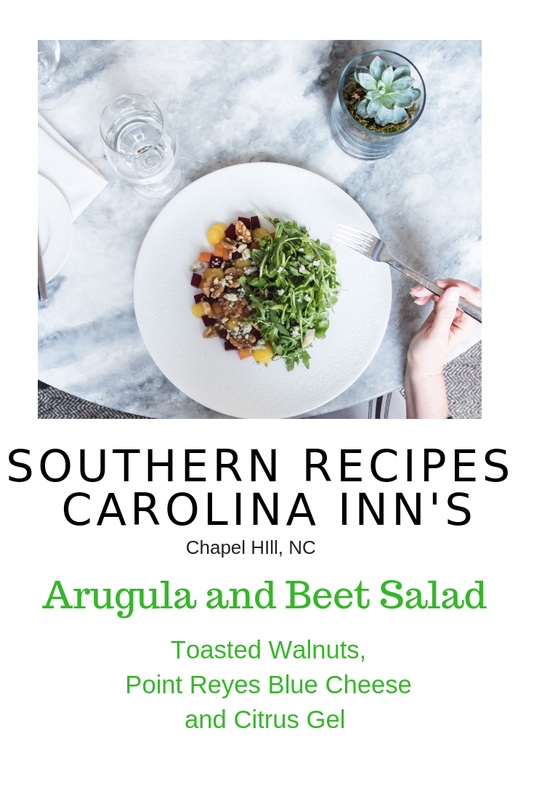 The Carolina Inn offers breakfast, brunch, lunch, afternoon tea, dinner, and a bar menu. All items are different and all are what you would expect at a luxury hotel. It sounds exhausting, but Blankenship loves the culinary challenge. The Carolina Inn is one of North Carolina's largest event and wedding venues as well. 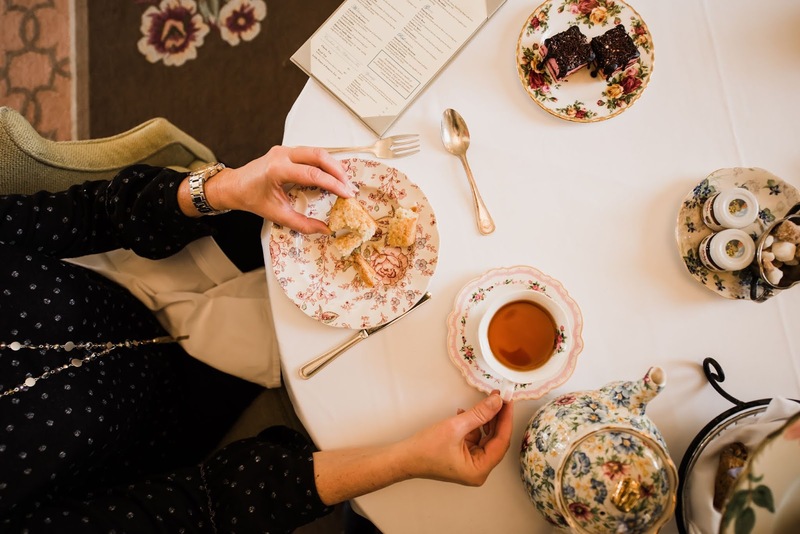 The classic Carolina Inn is one of my favorite places in North Carolina for afternoon tea. They have delicious scones. The tea service is traditional and does not steer too far away from its British roots. Not as many chefs are in love with hotel afternoon tea service as much as the guests because I got the feeling it can be kind of mundane. Chefs can't mix it up too much because people like me expect a scone, a smoked salmon and a cucumber sandwich a certain way as a UNC-Chapel alumnus want. Sometimes, even the scones are piped in Carolina blue. Chef Blankenship may not love afternoon tea as much as me, but he knows his guests expect the best and he'll deliver. 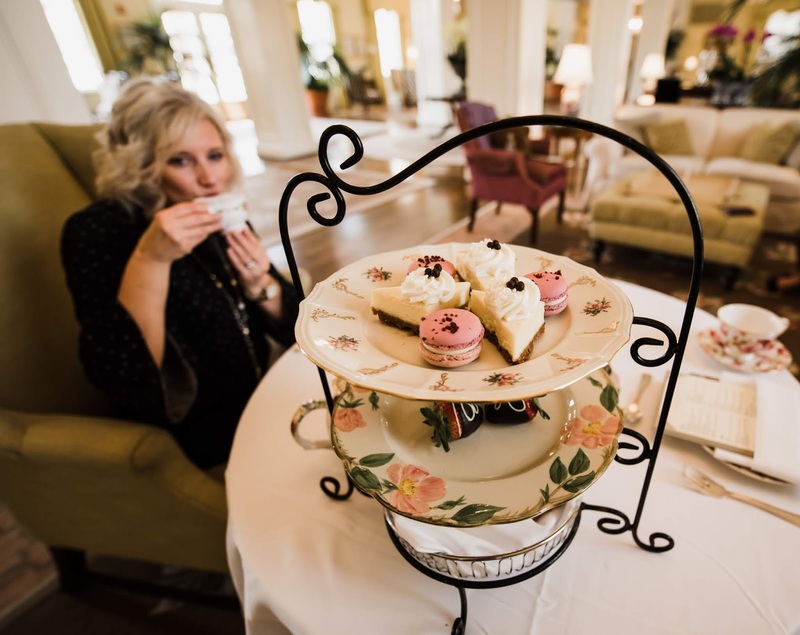 Carolina Inn offers special teas throughout the year, and tea reservations must be made 48-hours in advance. He joked with me, "We're not going to change up your cucumber sandwich and scones. So don't worry!" Busy days are ahead for Blankenship and his culinary team. Spring in a University town is one of the busiest. He has Easter, Mother's Day and UNC Graduation within weeks of each of other. When he's off, he has busy kids at home, but he loves to hop on his motorcycle and enjoy other's culinary talents. Since beets are still at the markets right now, he is sharing with me the exact recipe he has on the dinner menu currently. I took one look at it and immediately said, "I love it, but how can we do shortcuts?" He told me that the beet confit could be served as a side alone. They are time-consuming due to the time of being in the over, but that is really it. He firmly believes that beets pair best with Arugula so no substitute there, but if you do not have time to make a citrus gel then he told me to toss in some sliced oranges. 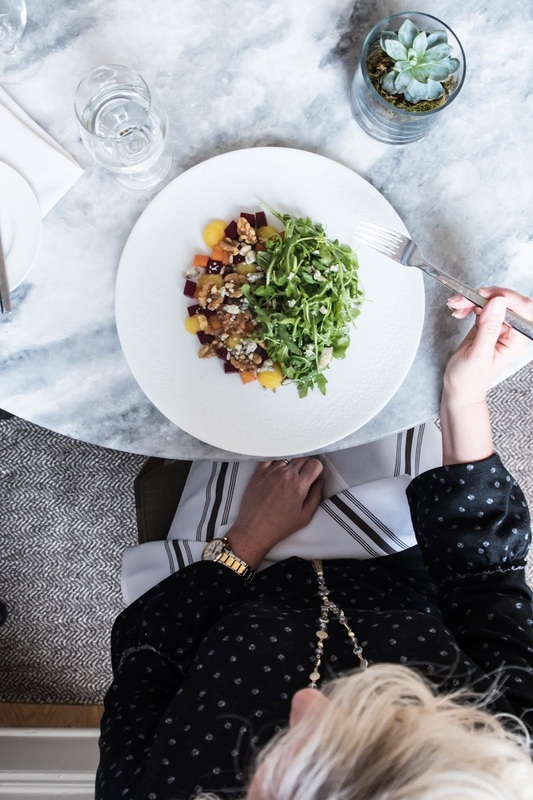 During our conversation, he admitted that about ten years ago, the salad would have been on the menu with orange slices, but menus have evolved into even more creativity. Beets are still plentiful at your local farmer's market so pick some up and try this sensational recipe at home. Evenly distribute the seasoned beats between 4 plates. Note: Store these beets in the fridge in the oil. That is the key. Place the walnuts on a sheet pan and bake in the oven at 350 degrees for 8 to 10 minutes until toasted. Let cool and store in airtight containers. 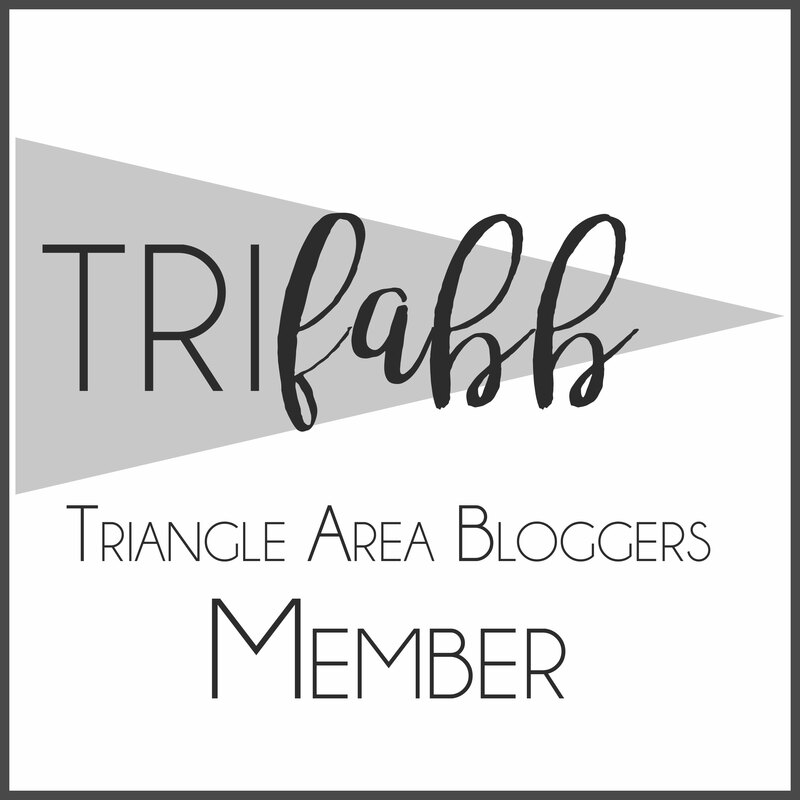 My thanks to Gladwell Orthodontists, a Chapel Hill Invisalign Orthodontist for sponsoring my blog and for keeping me at my desk writing.